Tools, lumber and bolts are just a few of the things that come to mind when thinking about a hardware store — but how about the smell? Today, meet a local perfume maker who decided to recreate the scent of a Kansas City hardware store. Also, we discuss how the community is affected when these old "mom n' pop" businesses close shop. Imagine going to the grocery store for dinner, not to pick up a rotisserie chicken to take home, but to actually eat at the store. As online grocery shopping grows, many supermarkets are adding sit-down restaurants – and the trend is changing how food retail and food service work together. Hardware store memories are about more than that tell-tale hardware store smell. How the story of industry in Kansas City mirrors the story of hardware stores, and what communities lose as those mom n' pop neighborhood shops fall away. Plus, how one of the oldest hardware stores in town has reinvented itself to survive. Hint: it involves a flying dolphin. 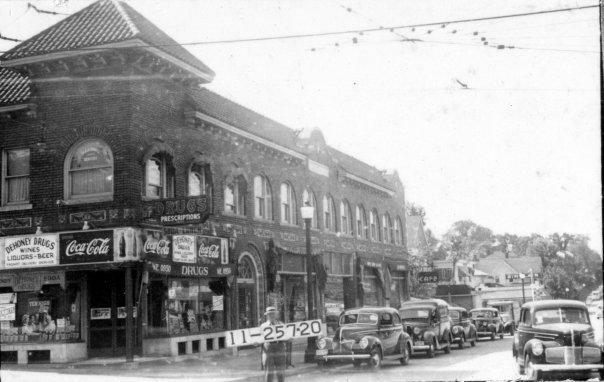 Before it was a grocery store, the small space at the corner of 43rd and Main streets housed, over the years, a drugstore, a coffee shop that hosted live music, a Whole Foods and a Wild Oats. For the past five years, it’s been the home to Nature’s Own Health Market. The corner grocery store holds a special place in the hearts of many Kansas Citians, as Mary Jo Draper recently discovered.